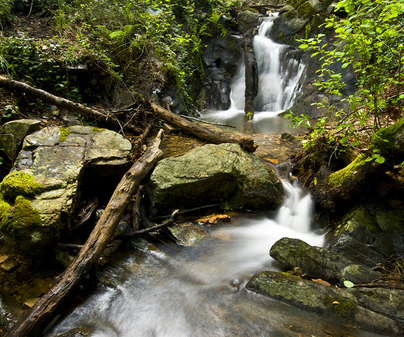 A place to enjoy nature in virgin state. Their forests, where there are hundred-years-old trees, the landscaping wealth of its places and more than 160 species of birds that inhabit it –despite not having wetlands– make this natural park one of the most beautiful and strangest ones in the peninsula. 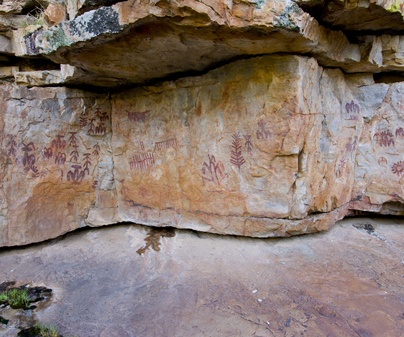 The Natural Park has two differentiated landscapes. 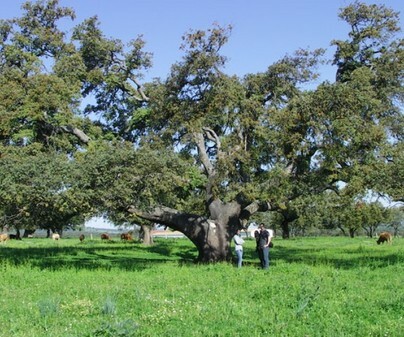 On the one hand, an enormous extension of cattle meadows that conforms Valle de Alcudia, with its amazing sea of oaks and pastures. On the other hand, the mountain ranges and hills in the south, of rough relief and veins that form Sierra Madrona. 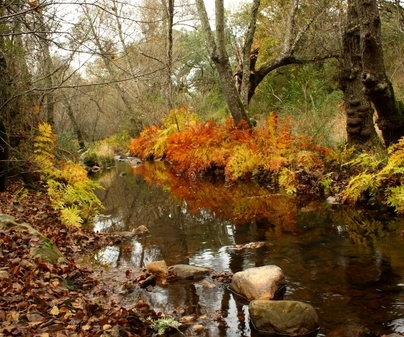 Diverse rivers and streams wind contributing to enrich the landscape with the changing colors of their vegetation and spilling their waters to the great rivers Guadiana or Guadalquivir. The area has a very important number of points of geologic interest of diverse nature like fluvial sickles, canyons and water gap, natural waterfalls, seasonal or permanent wetlands, important veins, natural escarpments, natural caves, volcanic origins forms, and important forms from the Periglaciation and Pleistocene. The hundred-years-old oak, whose top could shelter up to one thousand sheep, deserves a visit and a picture. The so-called oak "el Abuelo", stately unit in the heart of Sierra Madrona, surrounded by strawberry trees. Over our heads the Iberian imperial eagle, the black vulture and the black stork fly. To our side, the Iberian lynx, the wolf and the Iberian ibex walk, among pastures and Mediterranean forests. Alhorín Volcano, next to the Montoro dam. "Microreserves" of bats of several species: of the Túnel de Niefla, Mina de los Pontones, Fuencaliente and Túneles de Ojailén. There are mines and railroad tunnels no longer used. Recreational Areas of San Isidro and Fuente del Almirezr in Fuencaliente. Open access. Located between the localities Almodóvar del Campo, Brazatortas, Cabezarrubias del Puerto, Fuencaliente, Hinojosas de Calatrava, Mestanza, San Lorenzo de Calatrava and Solana del Pino. The natural entrance to the park is in Puertollano by the N-420. 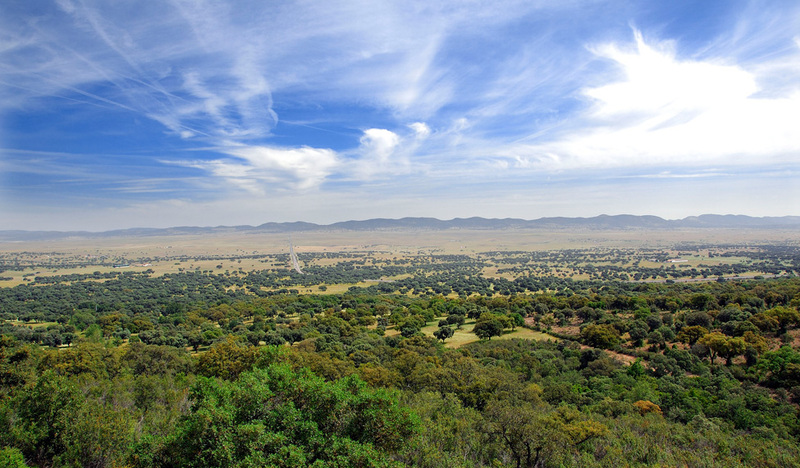 Passing the municipality of Puertollano towards Córdoba, go along the central sector of the Natural Park though Valle de Alcudia, and then, Sierra Madrona. From the N-420 by the autonomic highway CM-4202 toward Alamillo, crossing the Natural Park throughout its western sector. Suitable clothing for countryside and the season. Summers are very hot, and winters, cold. Temperatures goes down to 0ºC. Spring and autumn are the best time to go. A raincoat for these months.